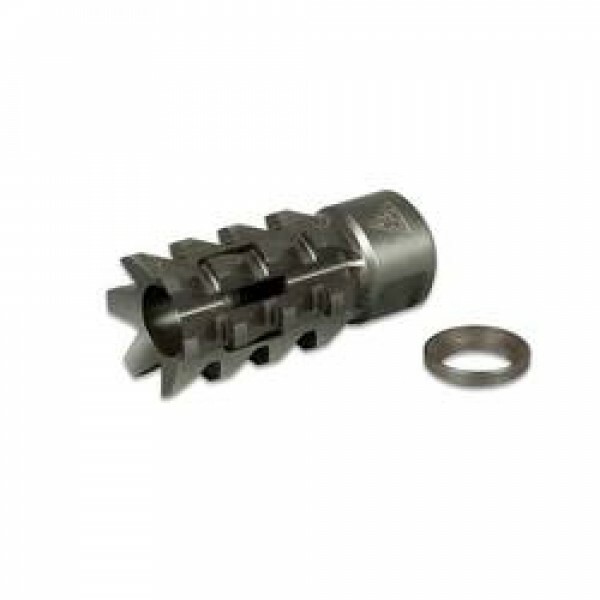 AR-15 5.56 BLACK RAIN BLACK STAINLESS STEEL FLASH HIDER 1/2X28 THREADED. Made in the USA. Black Rain Ordnance Inc. CNC machined flash suppressor with ½ x 28 thread pattern for .223/5.56 Made from 416r stainless steel with serrated and aggressive design to be used as a glass punch, door breech, or less lethal means of control while safely concealing flash. 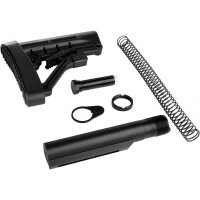 Salt bath nitride for a tactical black finish.